When society thinks of people in agriculture, they tend to picture a middle-aged, white farmer. While this can be true, quite a few people in the agriculture industry don’t come close to this stereotype. This can be proved quite the opposite with a new Illinois State University student organization, Minorities in Agriculture, Natural Resources and Related Sciences (MANRRS). MANRRS is a student organization promoting academic and professional advancement for minorities. Kristen Kubsch, A GROWMARK, Inc. representative, contacted the Illinois State Department of Agriculture in 2016 about starting a MANRRS chapter. “We have a great relationship with the MANRRS chapter at the University of Illinois and saw a gap at Illinois State. We felt a chapter here might be a good fit,” Kubsch said. Kubsch started by contacting Robert Rhykerd, the department chair. After some research, Rhykerd agreed that the agriculture department would be a nice fit for a MANRRS chapter. From there, advisers were put into place and a few students started getting the word out about their new club. After a few months, MANRRS was officially a registered student organization at Illinois State University. 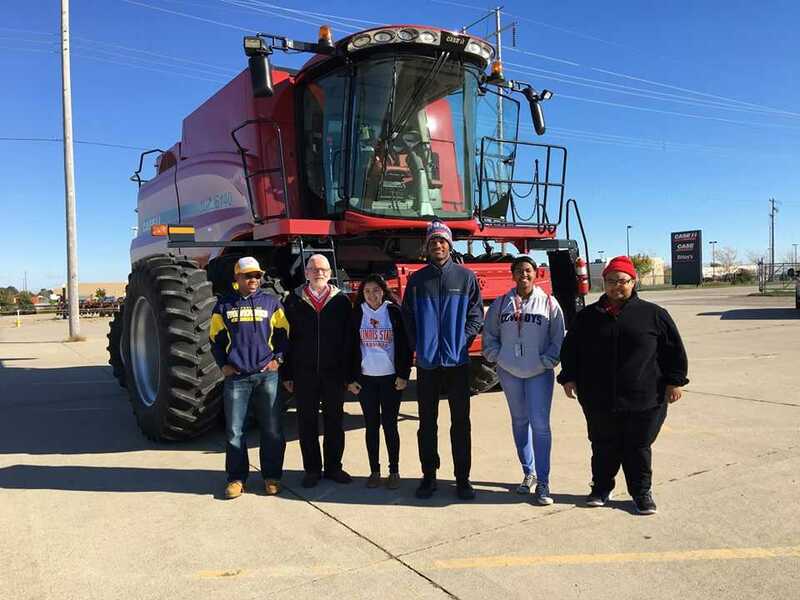 MANRRS members getting to drive a combine. How has MANRRS evolved since the beginning? The chapter has worked to present at local schools, provide farm tours to members, and hosting a school supply drive in February with the Illinois State Department of Agriculture. 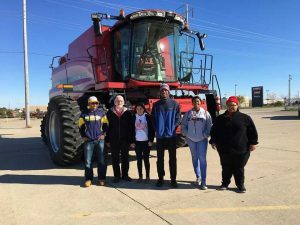 The Illinois State MANRRS chapter may be the newest agriculture student organization at Illinois State, but they are making their mark!